Being lost has never been so fun! 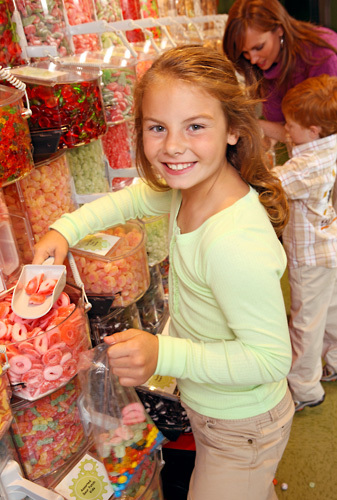 The Maze offers an amazing time for the entire family! Find your way out through surprising corners, dead ends, continuous circles & rotating mirrors! 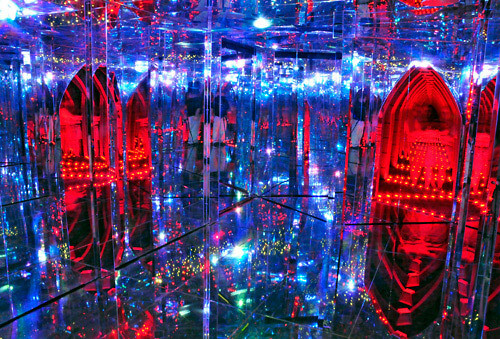 Strike a pose & see infinite reflections of yourself in every direction in the Infinity Room! Never the same experience twice! Unlimited admission from the time ticket is scanned ‘til close of business (maze only). 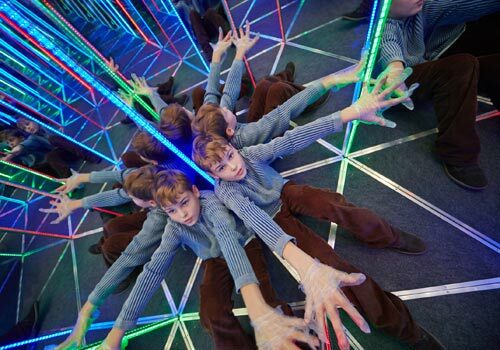 Labyrinth of mirrors and LED lights. Never the same experience twice. Unlimited admissions day of ticket. Being Lost has Never Been So Fun! Find your way out through surprising corners, dead ends, continuous circles & rotating mirrors! Strike your pose and See infinite reflections of yourself in every direction in the Infinity Room! Never the same experience twice! You get unlimited admission from the time the ticket is scanned until close of business (maze only). What are the hours of operation for the Mirror Maze? Ripley’s Marvelous Mirror Maze is open daily from 10:00AM to 11:00PM. Where is the Mirror Maze located? 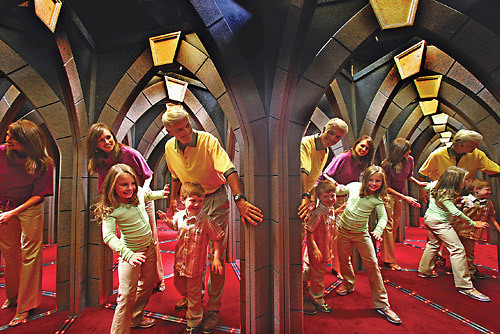 Ripley’s Marvelous Mirror Maze is located at 623 Parkway, Gatlinburg, TN 37738. Is this attraction okay for children? 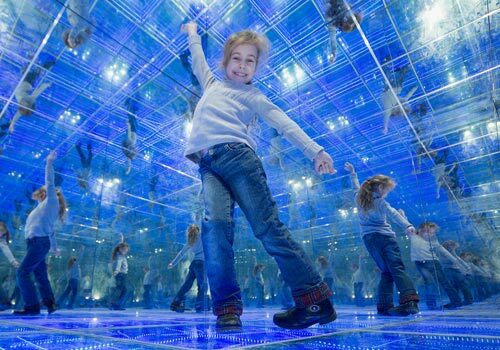 This attraction uses LED lights, mirrors, and other special effects to create one-of-a-kind illusions. Some of these may be confusing or frightening to younger children. While the attraction is available for all ages, we recommend that parents accompany their younger children through the maze. Does my ticket really include unlimited admission? Yes. Customers with a Ripley’s Marvelous Mirror Maze ticket can enjoy unlimited admissions to the maze all day long. This only applies to the maze.